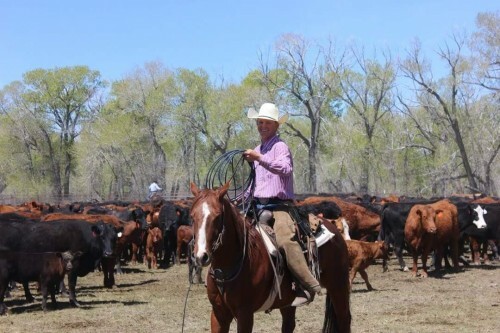 A long term cowboy position on a reputable ranch. I have a broad range of ranch experience in a variety of different settings. I know how to recognize and doctor sick cattle both in pens and on pasture and I am comfortable using a wide variety of medicines and doctoring techniques. I have experience in all phases of beef cattle production from open range to feedlot, I’m am up-to-date with current vaccination and drug protocols for maximum herd health. I possess a broad history of starting colts and training problem horses as well. I also have a good working knowledge of using draft horse teams. I work well alone or as part of a team.